Men’s Basketball lost to Lancaster Bible early in the week by a score of 81-72. Colin Sareyka led the way with 23 points. The Falcons opened up play in the TowneBank Tip-Off Tournament against St. John Fisher, but lost 81-74. Matt Glogowski recorded a double-double putting up 18 points, and grabbing 11 rebounds. Messiah defeated Greensboro College 91-76 in the second game of the Tip-Off Tournament. Colin Sareyka led the team with 25 points, eight assists, six rebounds and two steals. Men’s Soccer advanced to the Sweet Sixteen after defeating SUNY Cortland on Saturday 3-2. Nick West recorded a hat trick in the victory. The team’s season ended in the Elite Eight against Rochester 2-1. Nick West had the lone goal in the loss. Women’s Soccer fell to Lynchburg in penalty kicks in the Sweet Sixteen. The Falcons finished with an overall record of 19-1-2. Brooke Firestone and Maddie Kohl scored in the win. The Falcons backline only gave up five goals to opponents all season, all coming in the first half of the matches. Men’s Wrestling competed in the Southeast duals defeating Greensboro (31-14) and Averett (34-12), but losing to Mount Union (32-15) and Ferrum (37-11). Josiah Gehr led the way staying undefeated and picking up four wins. Leanne Weaver represented Women’s Cross Country at the NCAA Division III Cross Country Championships. Weaver finished in 140th place with a time of 22:50.9. Benjamin Schott represented Men’s Cross Country at the NCAA Division III Cross Country Championships. Schoot finished in 153rd place with a time of 25.54.3. 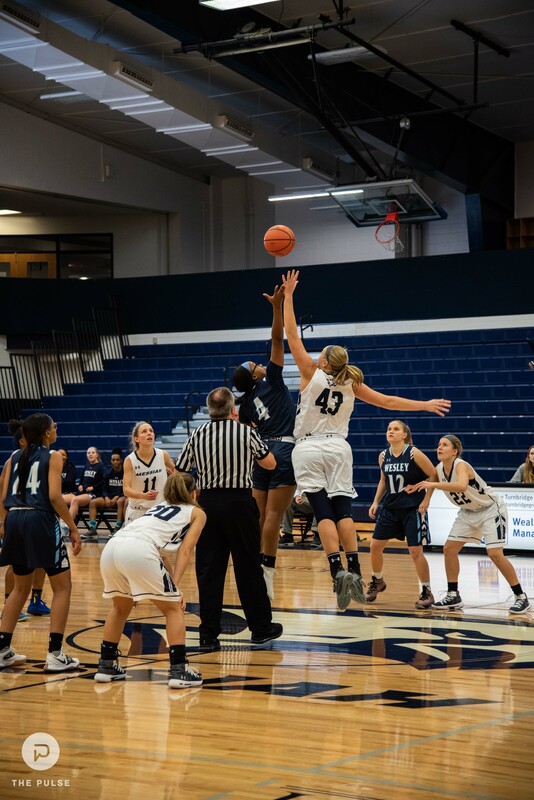 Women’s Basketball had a busy week playing three games. First, the Falcons traveled to Gettysburg and defeated the Bullets 74-69. Maci Thornton had a day, scoring a career-high 27 points. Over the weekend, the women hosted the Hampton Inn Tip-Off Classic. The team beat Wesley by a score of 64-40. Alecia Rohrer recorded a double-double, registering 17 points and 15 rebounds. In the Championship game of the Tip-Off Classic, the Falcons defeated St. Vincent 60-42. Alecia Rohrer led the way with 13 points and was named Tournament MVP. Women’s Basketball vs Eastern University 6:00 p.m.
Men’s Basketball @ University of Pittsburgh at Greensburg 7:00 p.m.